Robert Kraft said the honor would make his late father, Harry, proud. “It would have been greater to him than winning a Super Bowl,” said Kraft. New England Patriots owner Robert Kraft will deliver the keynote speech and receive an honorary doctorate at Yeshiva University’s commencement ceremony on May 25 at Madison Square Garden. On Monday, Kraft spoke with radio host Nachum Segal about the upcoming graduation ceremony. He also talked about how much he enjoys bringing people to Israel. In the interview, Kraft recalled how he traveled there with Tom Brady, Richard Seymour, Ben Watson, and other NFL players, and how he led a trip to the Holy Land with 19 Pro Football Hall of Famers last year. “It has been a thrill for me to be able to expose people I like and respect to this wonderful part of the world,” said Kraft. Kraft also reminisced about taking the Vince Lombardi Trophy to the office of Israeli Prime Minister Ariel Sharon. 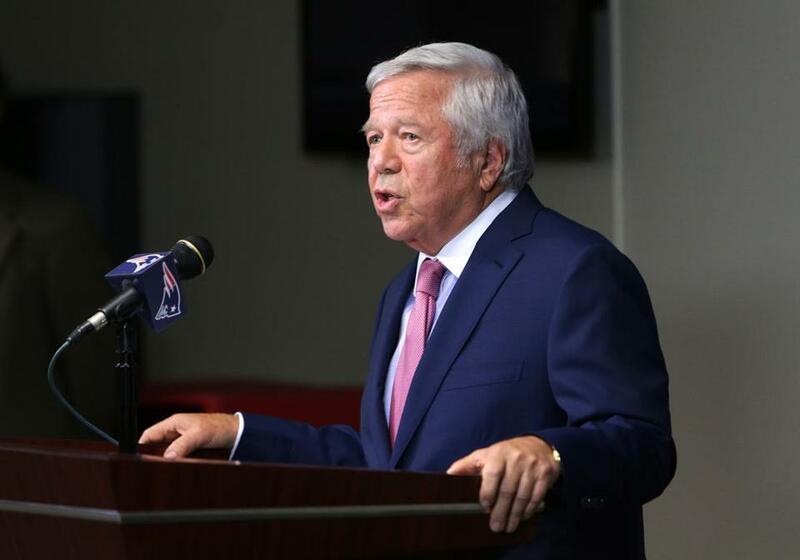 Kraft didn’t reveal many details about the speech he’ll give at the Yeshiva University graduation, but said he’s honored to participate in the ceremony. Kraft said the honorary degree he’ll be receiving would make his late father, Harry, proud. “It would have been greater to him than winning a Super Bowl,” said Kraft. Names can be reached at names@globe.com. Follow Emily Sweeney on Twitter @emilysweeney.